The high-end drum bags have the name of the case deserves! 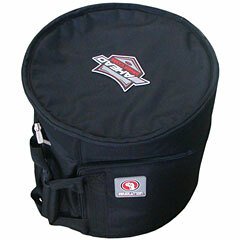 Ahead Armor cases are characterized by three unique and specific improvements over the already represented in the market from Drumbags. The cases are in TruForm so is the patented revolutionary design in drop form, which corresponds to the shaping of the toms along with the mounted hardware (Tomhaltesystem). Whether with or without the RIMS system, the case fits the specified Tomgröße! There is not another case set for sets of rims needed! Through the course of the ingenious patented zipped DynaZip system is the packing and unpacking of Toms much easier and faster. The Case-neck, which can be opened by a zipper, is much bigger than other products. The DX-Ahead Core is using 2-ply, highly protective foam padding high security for the toms, the comfort is granted by the soft Sherpa fleece Toms. This means that the shock-absorbing cases even more protected and the best Tom. The soft fleece interior in conjunction with the 600-denier polyester outer fabric is a water-and weather-teeming, virtually indestructible durable and strong protection for the drums. Drummers like Thomas Lang, Jost Nickel, Adrian Young, The Drumbassadors, Eric Singer, Mike Johnston and many more. Ahead are already excited the Armor cases and every day there are more drummers.